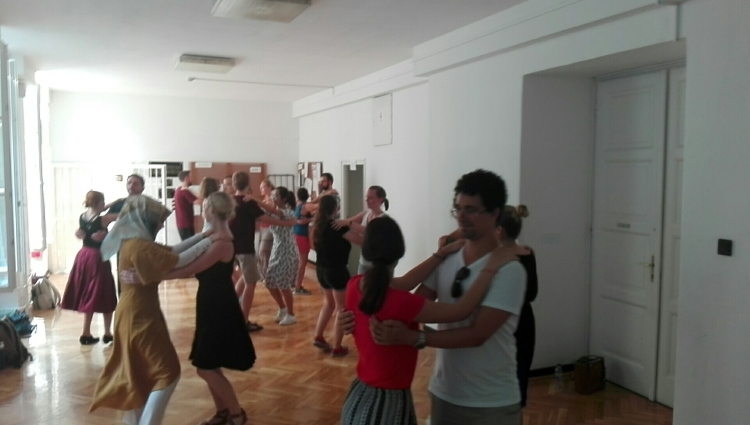 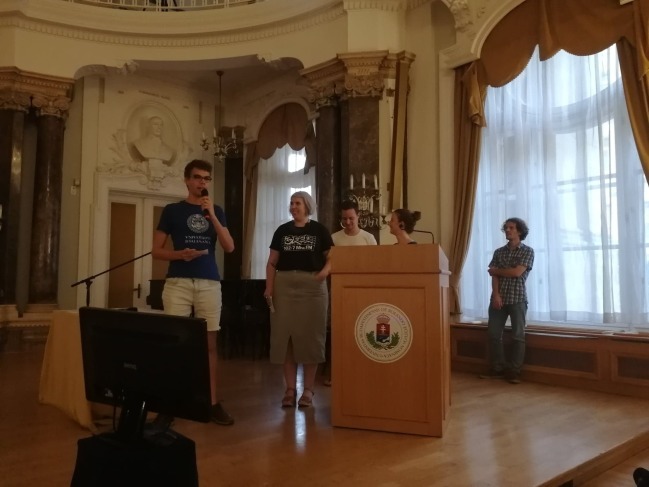 Summer University of Hungarian Language and Culture was organized the 24th time at ELTE and also this year's program turned out to be very colourful, thanks to the diverse programs and the enthusiastic international students. 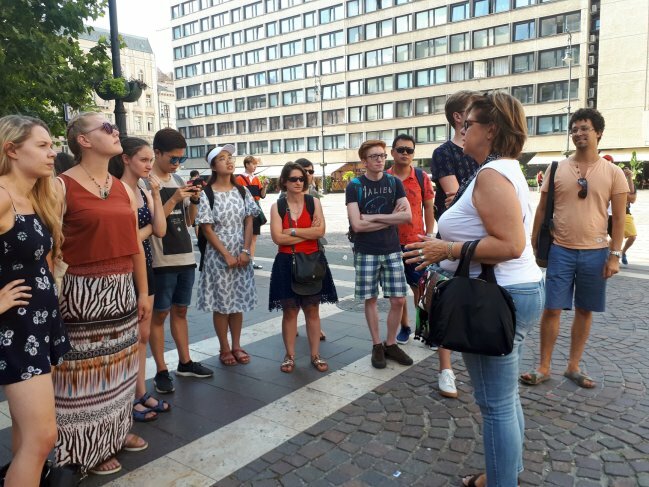 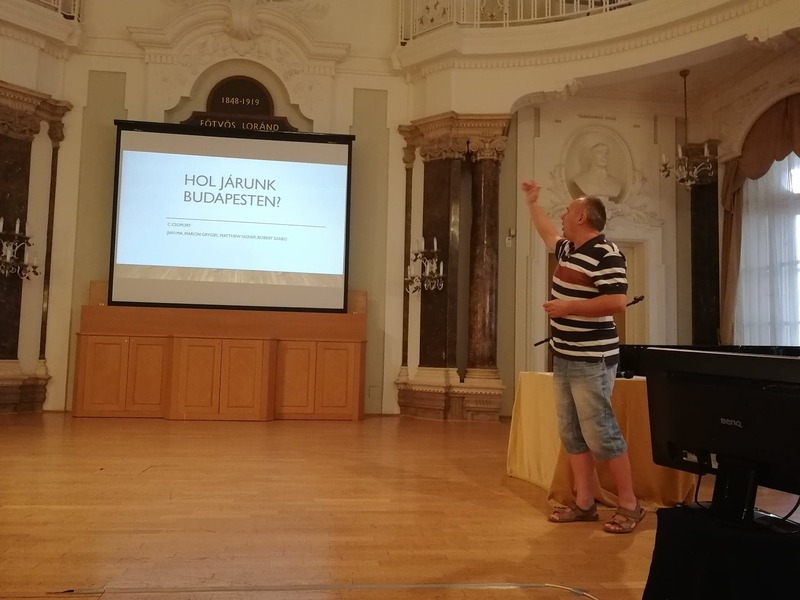 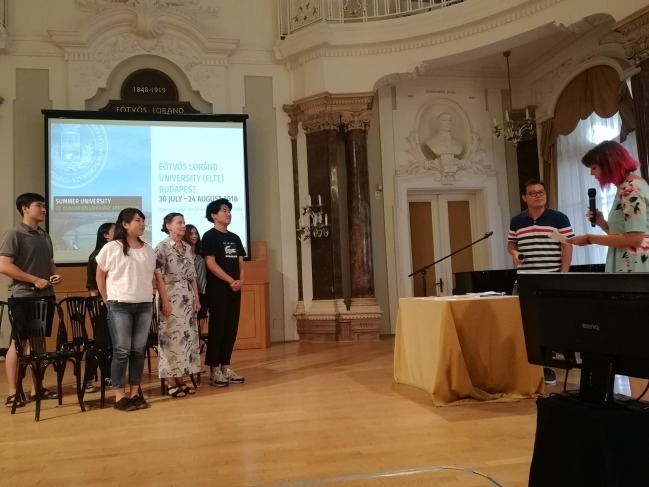 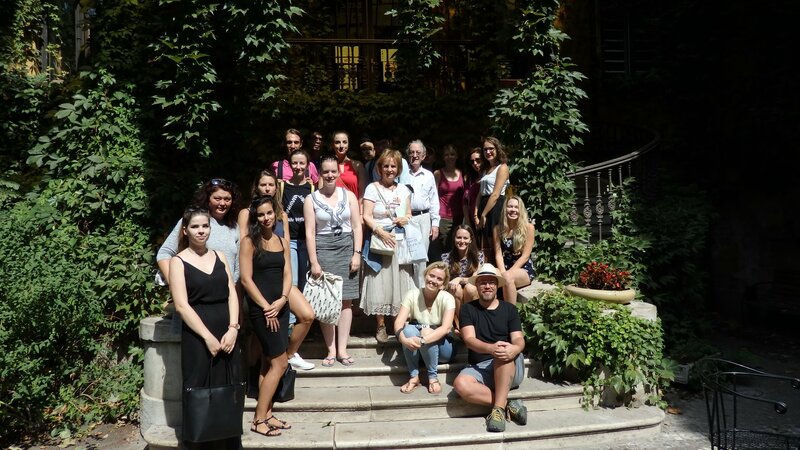 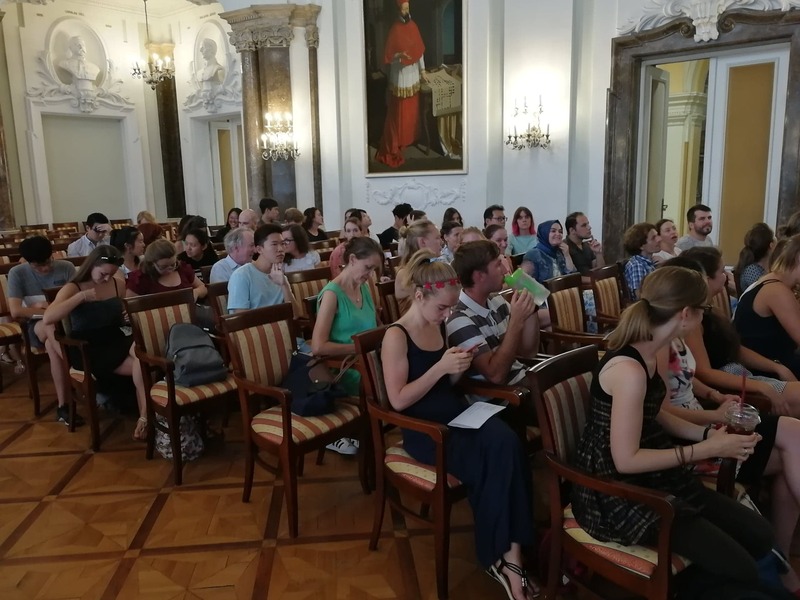 During the four weeks of the Summer University in August, participants studied Hungarian language in small groups from beginner to advanced levels, with qualified and experienced teachers, all graduates of the Department of Hungarian as a Foreign Language, Faculty of Humanities. 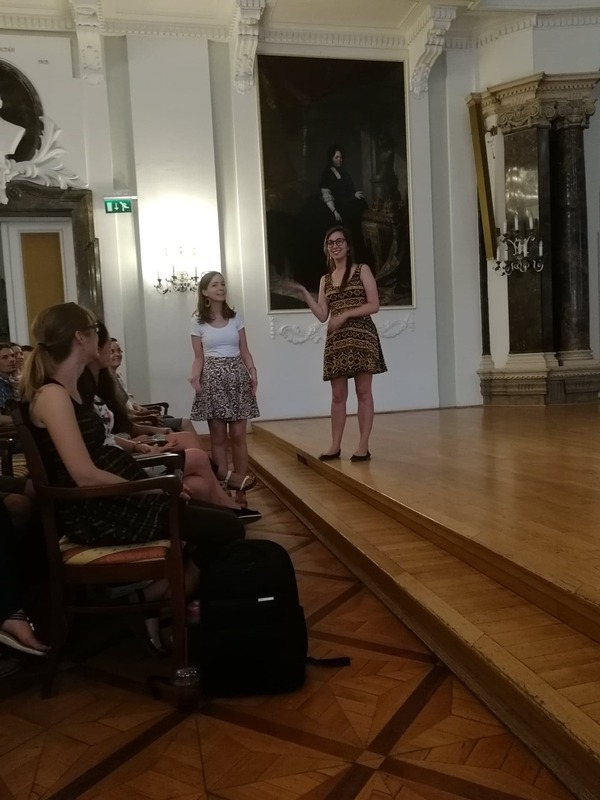 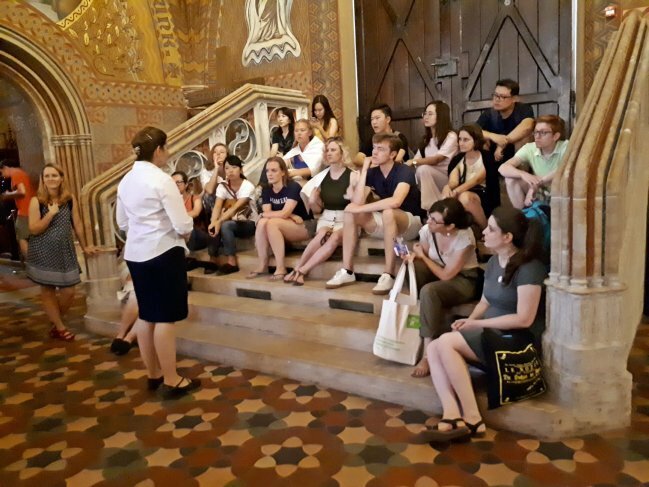 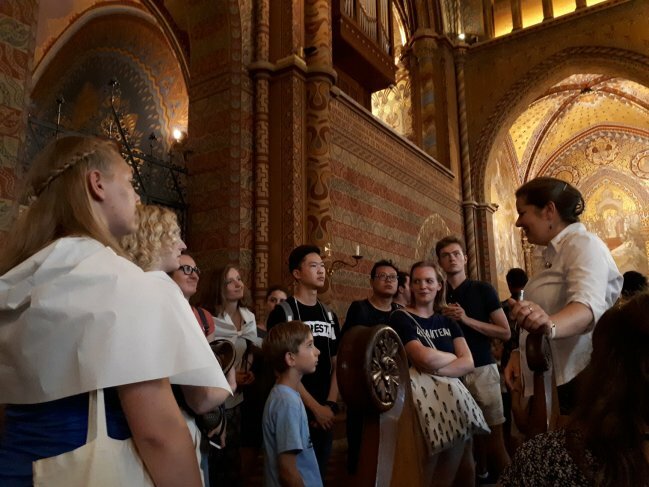 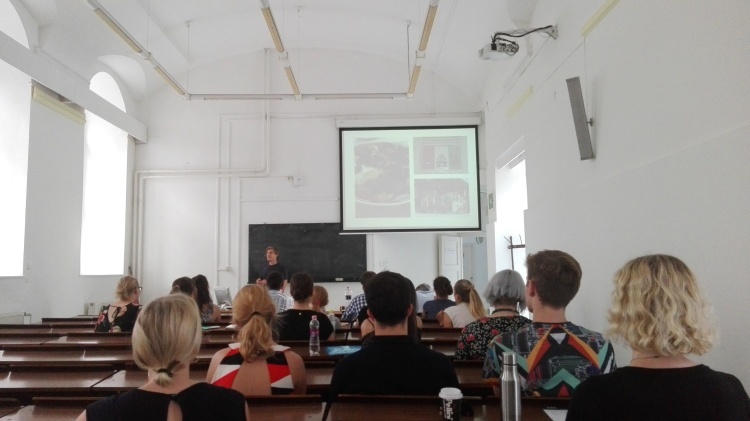 Participants also had the chance to attend interesting lectures on Hungarian culture, history, art and social problems presented by teachers and researchers at ELTE. They got to know more about Budapest and Hungary on the various cultural programs offered in the afternoons and at the weekends, such as Folk Dance Sessions at ELTE Faculty of Law, hiking in the Buda Hills, travelling to the lovely town of Szentendre, and they have also visited the monumental Saint Stephen’s Basilica and Matthias Church. 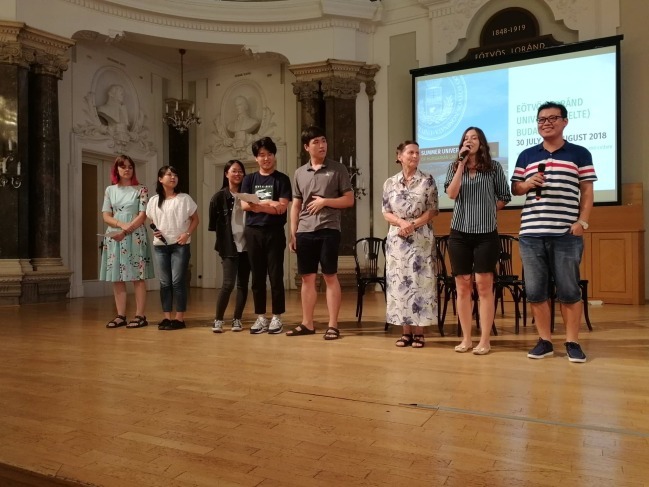 For this year’s event, 93 students arrived at ELTE from twenty-eight countries all over the world – most of them from the United Stated, China, Germany, Japan, Serbia, Russia and Poland. Ten students arrived with the ELTE Rector’s Scholarship from ELTE partner universities, such as University of Ljublana, Osaka University, University of Belgrade, Ludwig Maximilian University of Munich, Charles University in Prague, University of Graz, Josip Juraj Strossmayer University of Osijek and Saint Petersburg University. 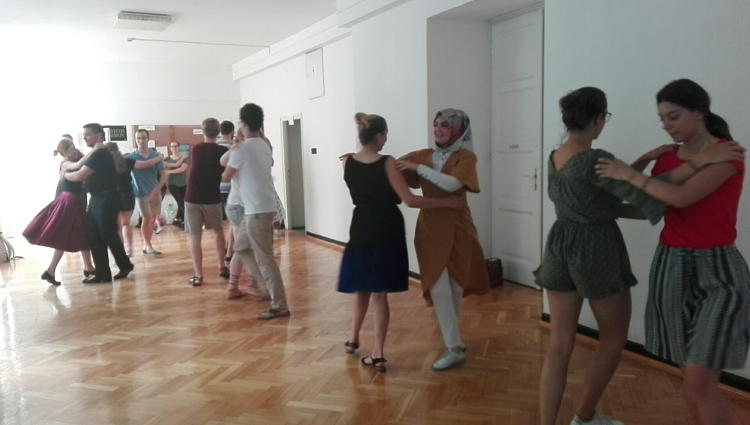 The participation of six students was supported by the Erasmus program. 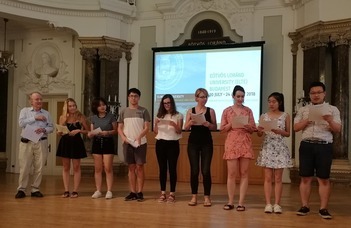 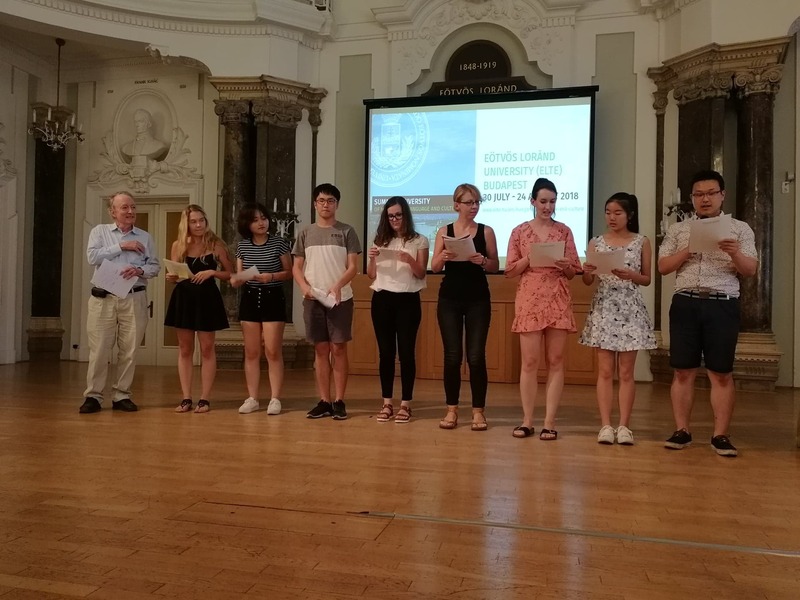 As a tradition, on the closing event students showed each other how much they have improved during the summer university and they presented heart-warming and lively short productions with their group mates. 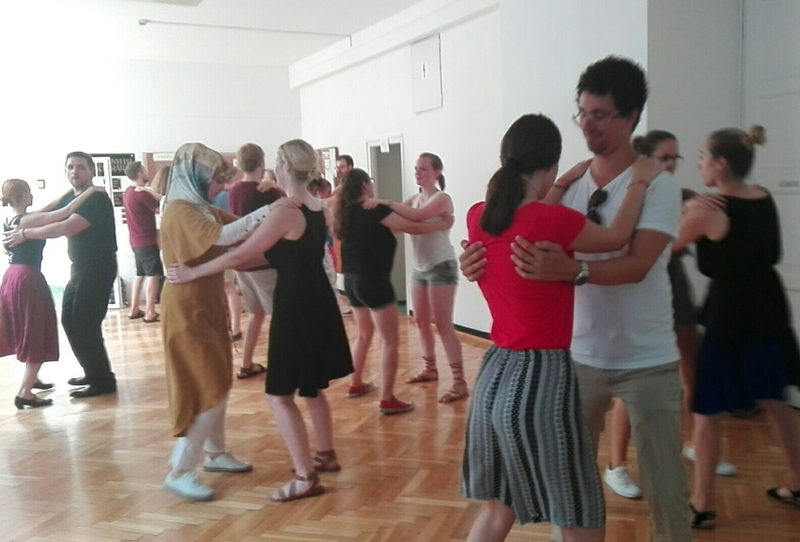 Besides traditional and popular Hungarian songs, they also performed some dance choreographies, short and funny plays about how they perceived the way of living in Hungary, presented poems by Hungarian authors in Hungarian and in the students’ original language, and they even prepared quizzes about who knows Hungarian culture and buildings in Budapest better. Hope to see you also next year!